Whether you come to the Fenway to live, go to school, catch a baseball game, explore the diverse cultural offerings, or stroll the tree-lined streets and public gardens, you are a member of our community. Fenway CDC fosters a growing and sustainable community where residents and institutions thrive. Members share a common goal to engage residents improve their neighborhood, develop homes that are affordable, and recommend services to improve the quality of life for residents. Become A Member of Our Community Today. It’s Free! Fenway Community Development Corporation works to preserve the Fenway as a vibrant, diverse neighborhood by developing affordable housing, providing programs to enrich lives, and strengthening community voices. As a Fenway CDC member, you have the opportunity to vote for the board of directors at our annual meeting and to provide input to help guide the overall direction of our programs and services, campaigns for affordable housing, and community-based planning efforts. 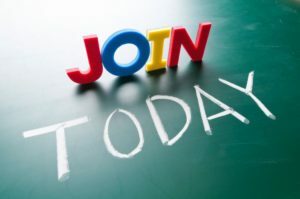 Join our growing network of neighbors and take an important step toward staying informed and connected to your community. When more people get involved, we strengthen our collective voice and make strides toward a more inclusive and stable neighborhood where people of all backgrounds can live and thrive. Please complete the Fenway CDC membership form and return to us at membership@fenwaycdc.org or mail to Fenway CDC, 70 Burbank Street, Boston, MA 02115. As a member, you will also enjoy the special deals and discounts from retailers, restaurants, and institutions in the Fenway. You’ll also receive notices to Fenway CDC’s fun and special events. Bill’s Bar: 20% off. 5 Lansdowne St, Boston, MA 02215, (617) 247-1222. El Pelon Taqueria: Free soda with purchase of $10 or more. 92 Peterborough St, Boston, MA 02215, (617) 262-9090. Fenway Johnnies: 15% off. 96 Brookline Ave, Boston, MA 02215, (617) 936-4344. Huntington Wine & Spirits: 20% off any 5 bottles of wine. 301 Huntington Ave, Boston, MA 02115, (617) 536-0164. Lansdowne Pub: 20% off. 9 Lansdowne St, Boston, MA 02215, (617) 247-1222. Neighborhoods Coffee & Crepes: Buy one coffee or crepe, get another at 50% off. 96 Peterborough St, Boston, MA 02215, (617) 262-7700. Saloniki: Free side of fries with any purchase of food. 4 Kilmarnock St, Boston, MA 02215, (617) 266-0001. Sushiemon: 15% off. 201 Massachusetts Ave., Boston, MA 02115, (617) 236-1464. Fern Florist Shop: 10% discount. 225 Massachusetts Ave, Boston, MA 02115, (617) 859-8100. Huntington Avenue YMCA: No Joiner fee for CDC residents (up to $50 value). Financial assistance available for those who qualify 10% discount. 316 Huntington Ave., Boston, MA 02115, (617) 927-8060. Boston Red Sox: Purchase special $9 tickets to Boston Red Sox Games. 4 Jersey Street, Boston, MA 02115. To become a member, please contact Phuong Nguyen at pnguyen@fenwaycdc.org or (617) 267-4637 x 12.